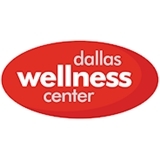 Dallas Wellness Center (Dallas) - Book Appointment Online! Dr. J. Douglas Kirkpatrick, D.C. founded Dallas Wellness Center in 1994. His caring spirit and expertise have helped restore health to thousands of patients for the past 23 years. Chiropractic practice includes the conservative treatment of disorders of the spine including neck and back. These disorders include soft tissue sprains and strains, non-surgical intervertebral disc lesions and nerve root lesions, osteoarthritis of the spine, whiplash associated disorders, fibromyalgia and myofascial pain syndrome, cervicogenic headaches and migraines. Dr. Kirkpatrick treats most injuries due to automobile accidents and work related accidents that are musculoskeletal related. He also works with many athletes in sports related injuries to help them achieve their full capacity as an athlete. The clinic offers several types of therapeutic and sports massage. This chiropractic office is incredible! The staff is accommodating and attenetive, and both doctors are knowledgeable, personable and experts in their field.